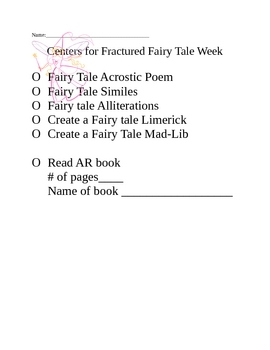 Centers to be completed during a Fairytale thematic unit. Students can check off each activity once completed. This is just the check off sheet. I found the activities by searching on google!